Deliver site - specific art worth the trip to see and experience. Caroline Parent Artist and entrepreneur founded Eye Feast Art LLC in 2000. Natural beauty inspires her designing, making and sourcing site-specific art. Our beautiful art in your space/project creates branding, distinction, originality, warmth, the experience of comfort and joy supporting a healing space. 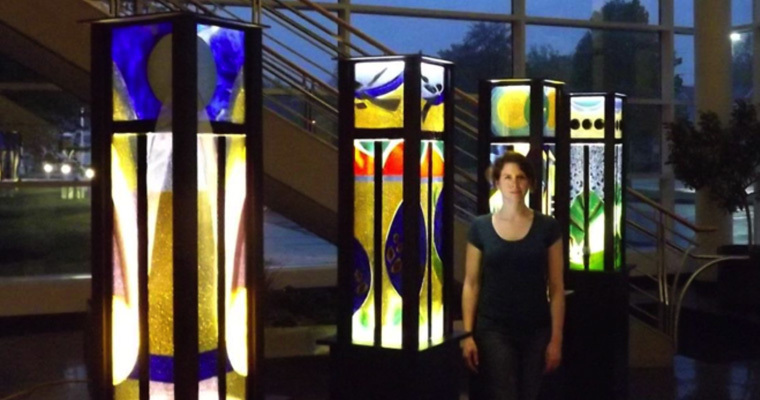 Our site-specific art creates a space people will want to visit = a long-term value.